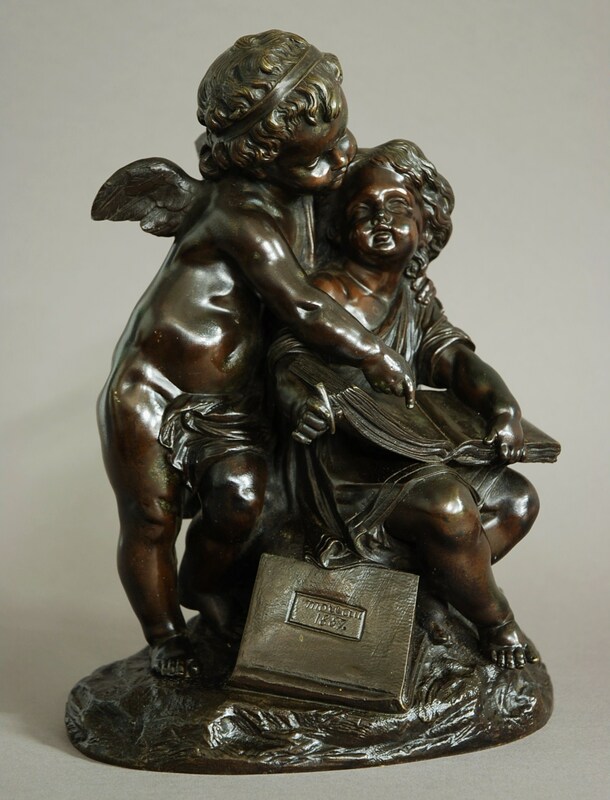 They are looking at or writing in a book, possibly symbolic of education and learning. 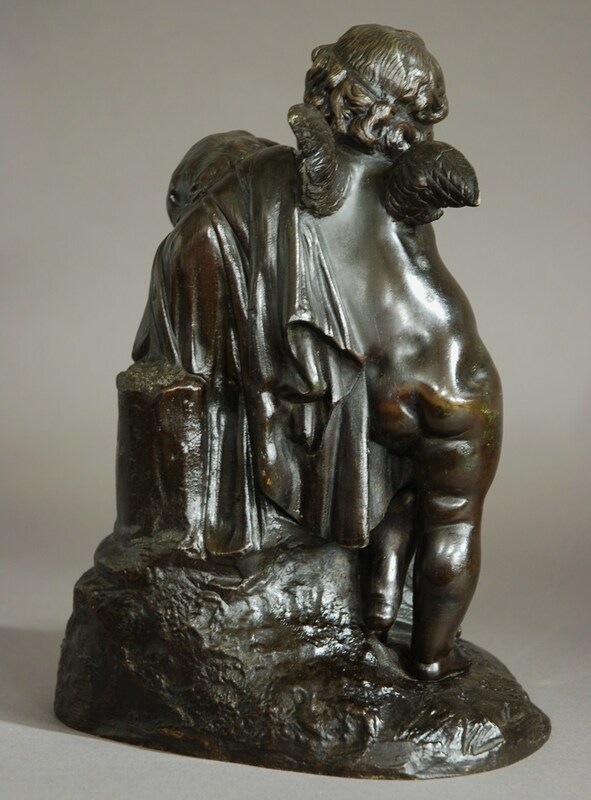 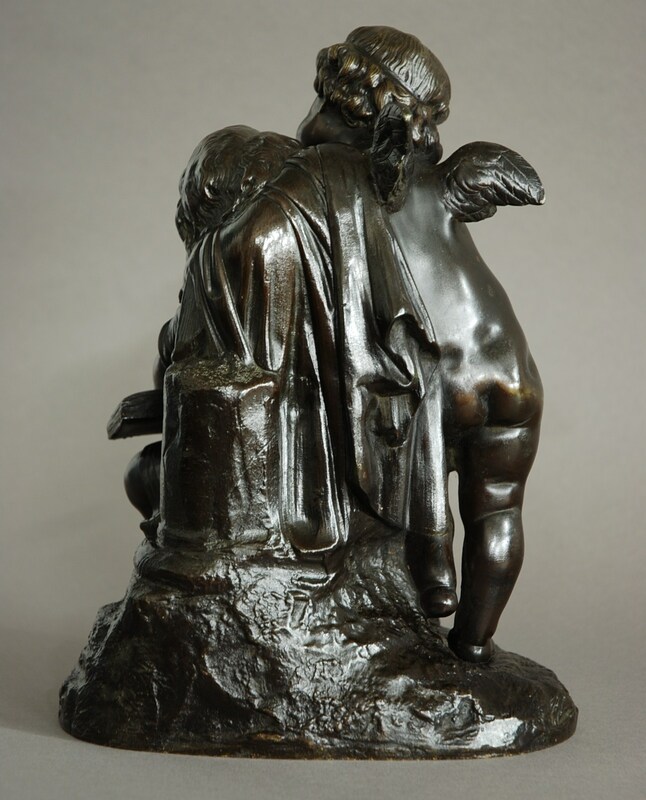 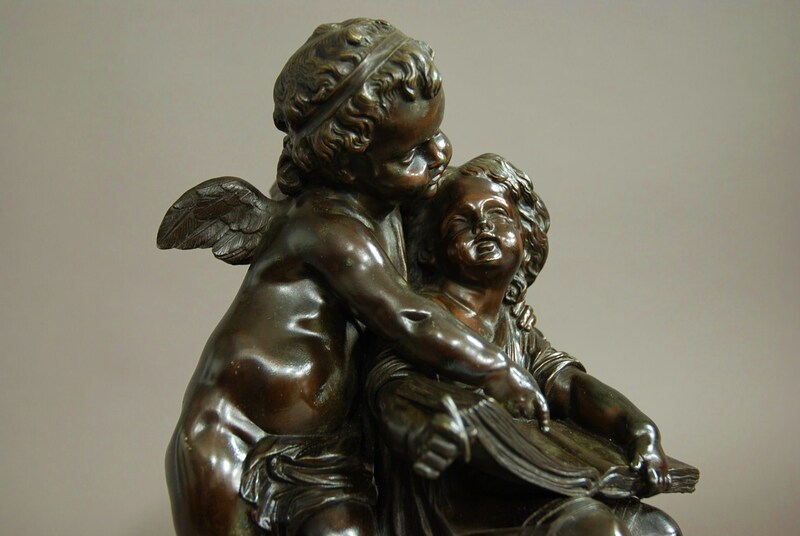 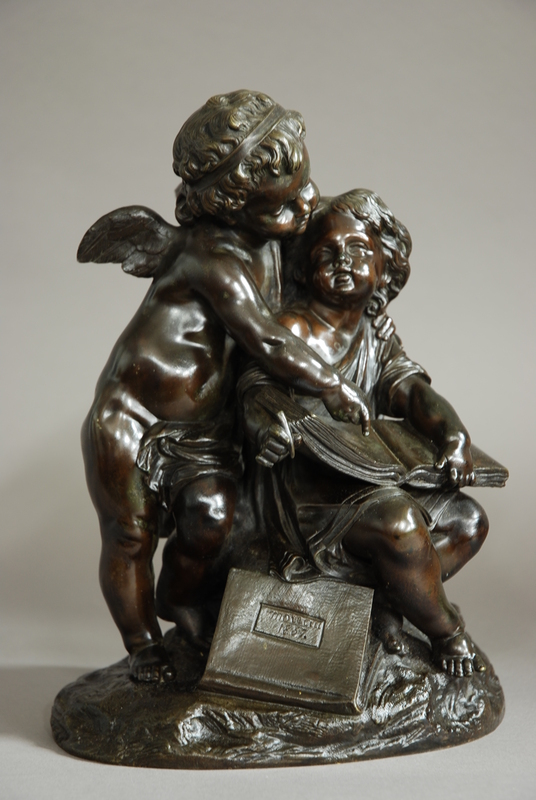 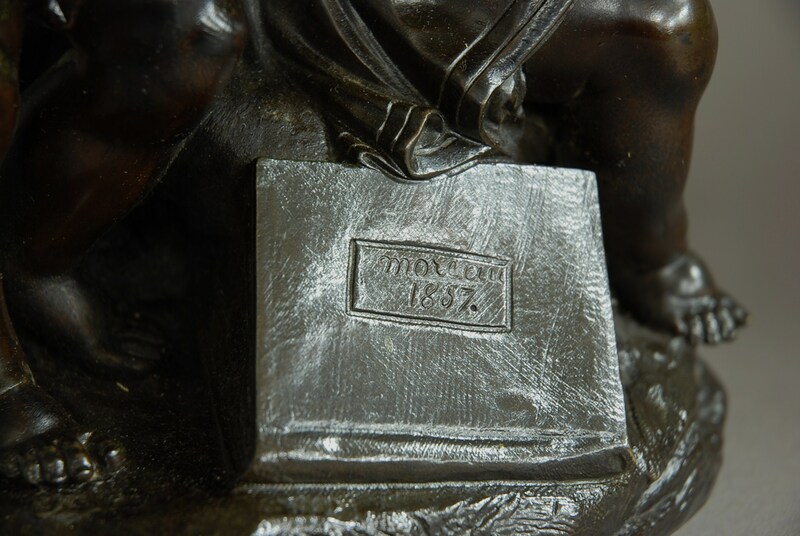 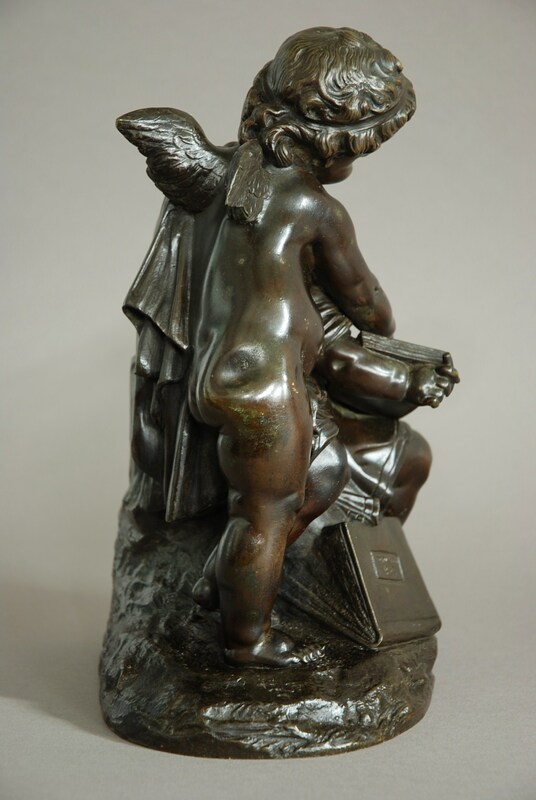 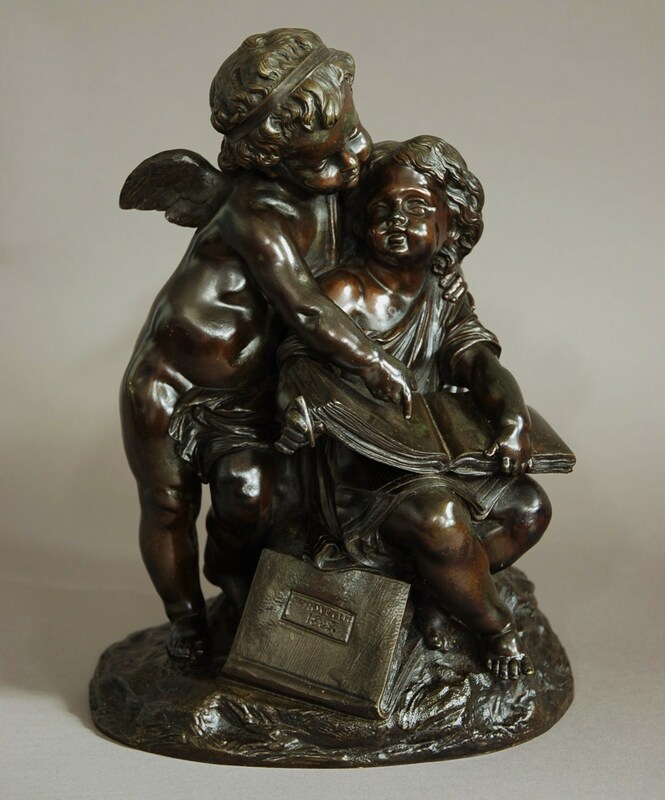 They are depicted on a bronze naturalistic oval base with another book at their feet, marked 'Moreau 1857'. 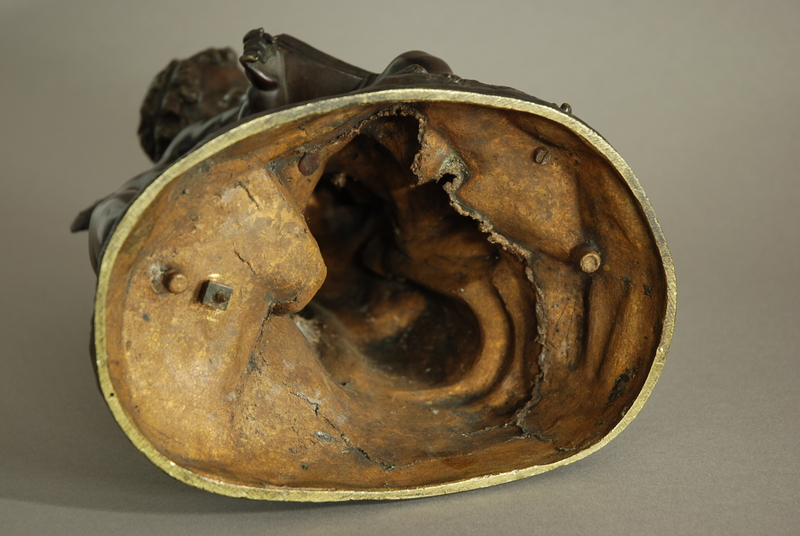 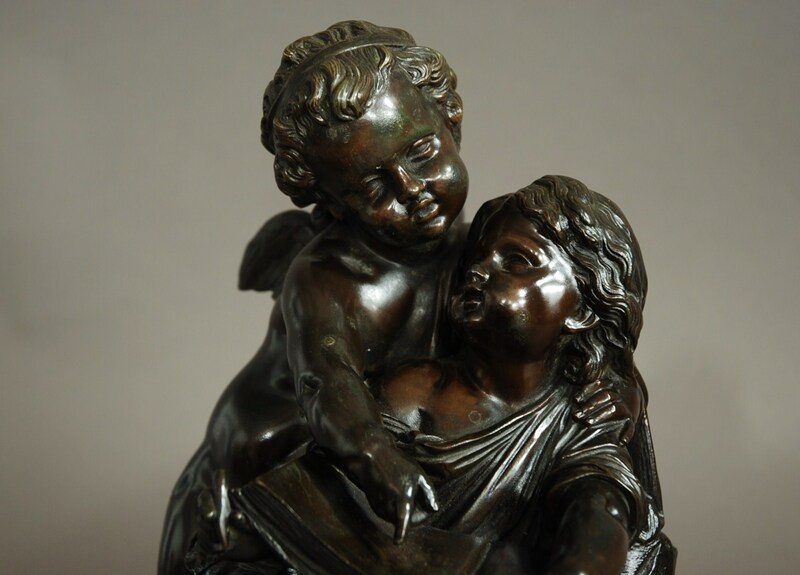 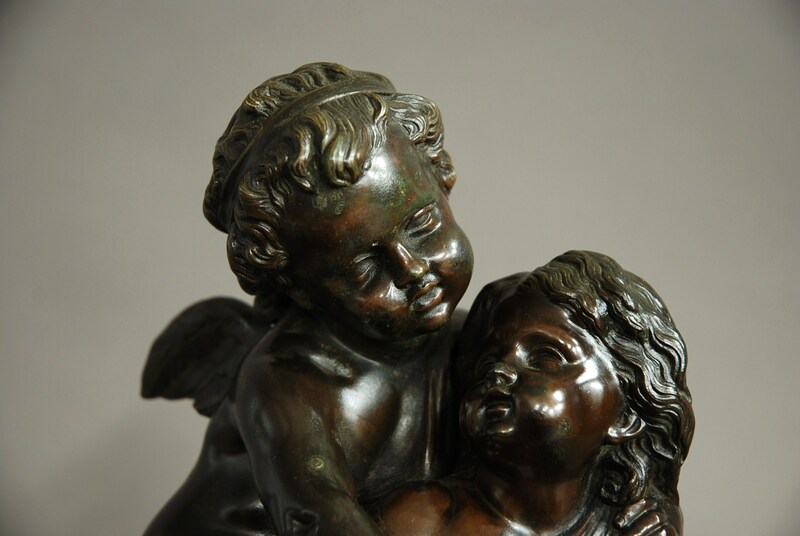 This bronze is of a lovely subject and is in good condition.